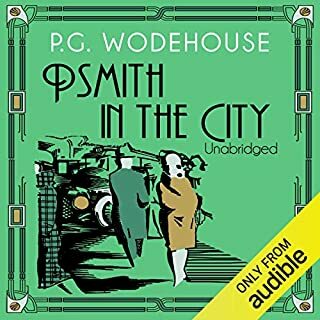 After listening to and loving several other Wodehouse audiobooks (including some narrated, quite well, by Jonathan Cecil), I decided to give this one, from a different series, a try. It got off to a bad start. The beginning was all about a game of cricket, and I, an American unfamiliar with the game, was lost. It got better after that, but it never really quite clicked for me, and I found the adventures of Jackson and Psmith harder to follow and to stay interested in than those of Wooster and Jeeves. I don't want to scare anyone away from trying Wodehouse, or Cecil's narration, but I don't think this particular title is the best example. As a prisoner of war, Andrew Jackson walked several miles barefoot across state lines while suffering from smallpox and a serious head wound received when he refused to polish the boots of the soldiers who had taken him captive. He was thirteen years old. A few decades later, he became the first popularly elected president and served the nation, pausing briefly only to beat a would-be assassin with a cane to within an inch of his life. 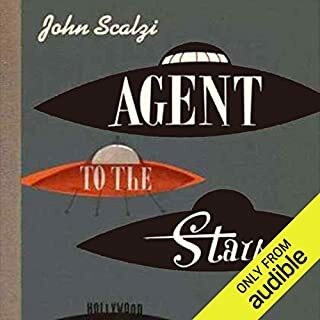 Absolutely One of the Funniest Books on Audible. The days when I was listening to this book on my drive in to work were some of the best days ever. It's genuinely funny (at least I thought so; humor is a subjective thing), plus it actually taught me a thing or two and made me want to learn more about some of these men. 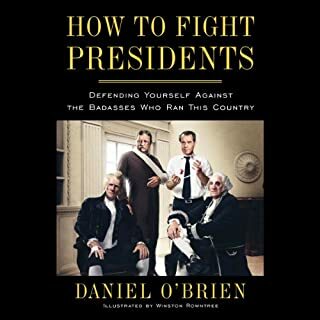 Not for kids or those with delicate sensibilities; but you could probably inspire a love of U.S. History in a boy by giving him this book and telling him not to let his mother or his teachers see him reading/listening to it. 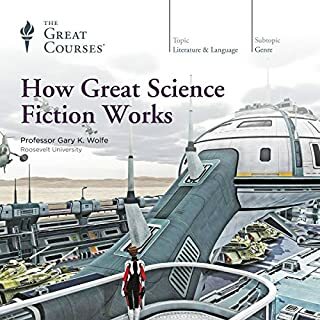 I agree with other reviewers who have said that this is a good coverage of the history and major themes and subgenres of science fiction, but that it falls short in explaining just how great science fiction WORKS. Professor Wolfe clearly has a wealth of knowledge of, and love for, science fiction, from its earliest days to the present. This lecture series is probably best suited for people who don't have a very complete knowledge of the genre but would like to, rather than long-time fans who are looking for new insights (though it might be good for long-time fans who are only familiar with certain periods, authors, or types of science fiction and want to fill in the gaps in their awareness). Compared to the similar lecture series by Michael Drout ("From Here to Infinity"), this one is more complete and comprehensive, but (in my humble opinion) a bit less interesting. Professor Shutt begins by exploring exactly what a novel is - and what it isn't - and what defines this unique literary expression. He explores both its antecedents and precursors and where exactly its place in the literary landscape can be found. He then moves on to Defoe's great work Robinson Crusoe which arguably marks the birth of the novel. Subsequent lectures explore works by powerful literary forces such as Samuel Richardson, Henry Fielding, Laurence Sterne, and Sir Walter Scott. 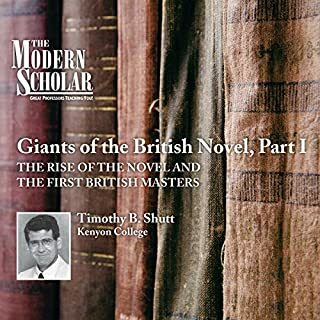 Timothy Shutt has recorded quite a few of these Modern Scholar lecture series. Of the ones of his I've listened to, this is my favorite. Shutt comes across as genial, avuncular, and conversational, yet very knowledgeable. My only complaint, aside from wanting more, is that his voice is an acquired taste (at times gruff, hoarse, or squeaky), and he speaks slowly enough that it would have bothered me if I were not listening on a device that allowed me too increase the playback speed. A while back, I tried to read this book for myself, but after the first couple of chapters I just wasn't getting into it, and so I gave up on it. 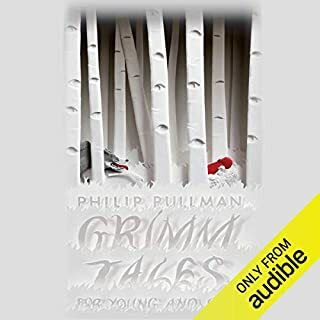 But then the audiobook showed up here on sale, I listened to the sample, and on the strength of Wil Wheaton's performance, I bought, listened to, and loved the audiobook. The book is told from the first-person point of view of a Hollywood agent, not the kind of person I would have expected to be able to relate to, but Wheaton makes this character (and others) likable, sympathetic, and relatable. And he brings out the humor in the book, which wasn't really working for me in the print version. This is a funny book, but it's not played just for laughs: there's a serious alien-first-contact story here, with characters you can care about. 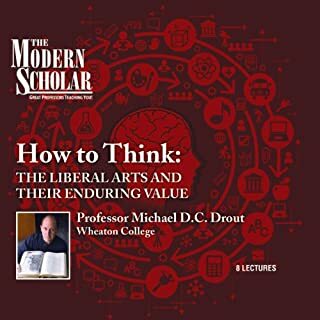 If you've heard any of Drout's other lecture series, or even just read their customer reviews, you know that Drout is one of the best lecturers available on Audible. In my opinion, this series is every bit as good as his others, both in content and presentation. Drout is, as always, engaging, erudite, thought-provoking, and funny. Maybe the subject matter doesn't have as broad an appeal, but if you're actually interested in a discussion, defense, or critique of the liberal arts, this is a good one. Lecture 1: Where the Liberal Arts came from. Lecture 2: How the sciences split off from the liberal arts. Lecture 3: The liberal arts as "the tools to rule." Lecture 4: Can the liberal arts make you a better person? Lecture 5: The best reasons for studying the liberal arts: Solving complex problems, and preserving and transmitting culture. Lecture 6: Case study: Beowulf. Lecture 7: What's wrong with the liberal arts, and how to fix it. Lecture 8: Answering the critics of the liberal arts. 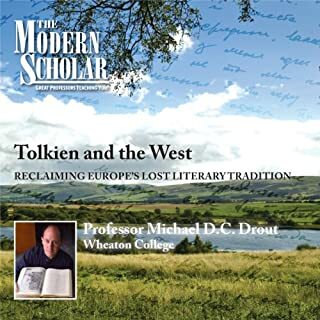 Professor Drout already had an earlier lecture series ("Rings, Swords, and Monsters") that focused largely on Tolkien; do we really need another one? In my opinion, after listening to both of them, the answer is a definite yes. Drout has enough to say about Tolkien that he isn't just repeating himself here (plus, this newer series gives him a chance to comment on the Peter Jackson movies). And, as in all his lectures, Professor Drout is a joy to listen to, lecturing with plenty of enthusiasm, expertise, insight, and humor. This "class" is a bit more advanced, so start with the earlier series if you haven't already listened to that one, especially if you're not a die-hard Tolkien enthusiast. But if you're the kind of person who can't get enough discussion of Tolkien, don't hesitate to get this lecture series. In this course, we will look at Lewis's life and examine the influences that would help to shape Lewis both as a man and as a writer. We will take an in-depth look at Lewis's science fiction trilogy, his Chronicles of Narnia, his apologetic and scholarly works, and his other writings. In doing so, we will come to understand the major thematic elements that mark Lewis's work. 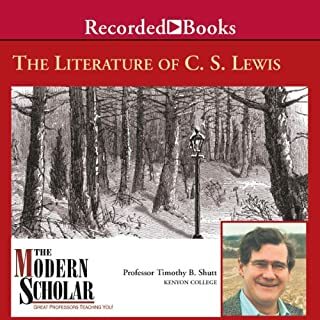 As the title indicates, this lecture series mainly focuses on C. S. Lewis's fiction (the Chronicles of Narnia, the Space Trilogy, Till We Have Faces), though Professor Shutt does spend some time discussing C. S. Lewis's life and his non-fictional writings. Shutt assumes you've read the books he's discussing (at one point in one of the lectures, he says "You've read the book; what do you think? "), and you'll get the most out of the lectures if you're familiar with Lewis's books; but even if there are some you haven't read, or haven't read in a long time, the lectures are still worth listening to. I found these lectures to be consistently interesting and insightful, and they left me with new appreciation for C. S. Lewis. Shutt is knowledgeable, not only about Lewis's own writings, but about the literary background that Lewis himself loved and was influenced by. Shutt comes across as an appreciator of Lewis, but not an uncritical, gushing fanboy. He doesn't hesitate to talk about what he or others have found flawed or unsuccessful in Lewis's writings in addition to talking about the things Lewis did particularly well. And Shutt doesn't shy away from talking about Lewis's Christian faith and its influence on his writing, but in a way that neither Christian nor nonchristian listeners should find off-putting. 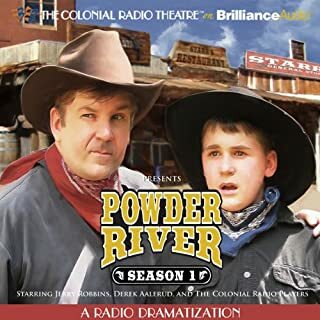 This is a series of western audio dramas, in the style of the Old Time Radio dramas from the "golden age of radio." Unfortunately, it suffers in comparison with the best of the classic radio dramas. The sound and production quality are just fine, but the writing and voice acting occasionally struck me as distinctly amateurish (especially in the case of a few of the guest actors), to an extent that made it hard for me to suspend disbelief and lose myself in the story. Earlier episodes seemed juvenile, focused around the young Chad McMasters, and some of them didn't have much action. Later episodes became "grittier" and more violent (though still not unsuitable for any but the most sensitive of young listeners). My review only refers to this first "season"; I see there are others available, and if the show finds its feet they may be worth listening to, but this is the only set I've heard as of now.